April Fools’ Day, means readers should be wary of what they read online as much of it will be a gross hyperbole created in the name of fun. Today also marks Apple’s 38th anniversary, with the company having been founded on this day in 1976 by Steve Jobs and Steve Wozniak. Based on the number of tips we’ve received, iFixit wins the award for the most believable Apple-related April Fools’ prank for 2014. The popular device repair company changed its entire website to announce that it is being acquired by Apple. It’s finally here. 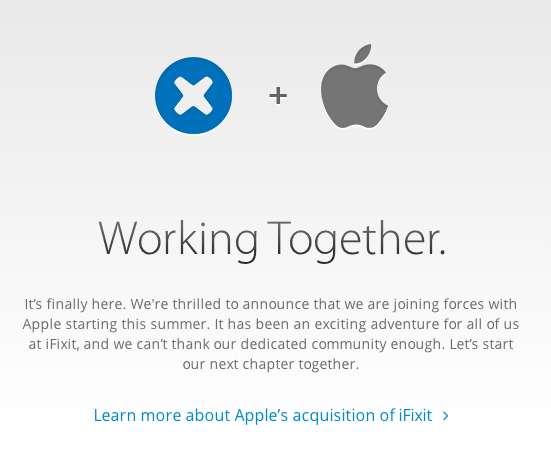 We’re thrilled to announce that we are joining forces with Apple starting this summer. It has been an exciting adventure for all of us at iFixit, and we can’t thank our dedicated community enough. Let’s start our next chapter together. 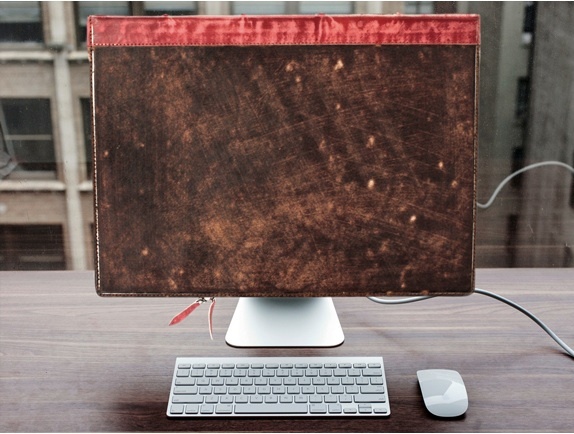 Twelve South, which offers a popular line of book-themed iPhone, iPad, and Mac notebook cases, has introduced its largest version yet: BookBook for iMac. Popular alternative keyboard SwiftKey, which recently began experimenting on iOS, announced “Flow Hard”, a version of its gesture-input technology for physical desktop/laptop keyboards. The new Flow Hard is guaranteed to increase your typing speed and your overall productivity. The now Google-owned Nest partnered with Virgin America to bring Total Temperature Control to airlines, allowing users to customize their own seat environment. Orbotix today unveiled the SelfieBot, a camera-equipped drone that hovers around you, capturing the best selfie moments you would normally miss. Always ready to snap a picture, the SelfieBot can be controlled by your smartphone or operate independently. Google has added support for emoji translation to its popular Chrome browser for iOS and Android. Instead of boring and bland text, users can capture the sentiment of each page through efficient and emotive illustrations. Today we’re announcing Google Translate support for Emoji, built directly into Chrome for Android and iOS. You can now read all your favorite web content using efficient and emotive illustrations, instead of cumbersome text. Our translation algorithm interprets not just the definition of the words on a webpage, but also their context, tone and if appropriate, facial expression. It then distills text into articulate, meaningful symbols so you can get more out of every screen.